Spring Salad of Wild Rocket Arugula, Radicchio, Whipped Ricotta, Pickled Grapes, Corn Nuts, Shaved Fennel, Aged Sherry Vinaigrette and paired with 2013 Altanuta Pinot Grigio. The wine had pleasant notes of lemon and honey dew melon, sweet edged and balanced. I enjoyed it with the salad’s nutty (the Corn Nuts really were a cool – very unexpected – addition) pickled and creamy flavors. We were off to a good start! Humanely Raised Certified Beef Tartare, Barolo Shallots, Tallow Farmed Weiser Farms Potato Chips, Quail Egg paired with what the waiter described as a “full-bodied rosé” that had notes of strawberry, maraschino cherry, raspberry and cherry: a 2013 Vitiano Rosato from Umbria made with Sangiovese, Merlot, Cabernet Sauvignon and Aleatico. Together the medium acid and fruit in the wine, against the pleasantly gamey dish (I wonder if it was the tartare and quail egg that gave it that quality), worked great as a palate cleanser between bites. And we enjoyed scooping up every last morsel with the chips. Rabbit Stew, Coarse Ground Creamy Polenta, Niçoise Olives, Extra Virgin Olive Oil paired with 2013 Briccotondo Barbera. This was my favorite wine of the night with aromas of stewed plum, black cherry and green peppercorns. On the palate I got a bowl of dark fruit, good tannin structure and balance. And the dish, on its own, was pure genius. I even pulled Chef Larry over for a photo with the dish and told him so. It was my first experience with rabbit, and the flavors reminded me of a decadent pate or foie gras. The creamy polenta reduced the meat characteristics, but in a way that only increased my pleasure. The stew, I could only imagine, had been stewing quite awhile to create such lovely flavors. Love to have that recipe! Halfway through the dish I forced myself to stop eating – only because I wanted to bring the dish home for my husband that had to work that night. Triple Chocolate Mousse, Caramelized Walnuts, Black Pepper Ice Cream Sauce paired with 2012 Batasiolo Moscato d’Asti. The wine had aromas and flavors of heavy cream, lime, cling peaches, poached pear, apple and honey. I liked the pairing of the candied pecans against the crisp apple in the wine. The Mousse reminded me of the triple-colored Neapolitan ice cream my mom used to buy, except about 20 notches better and in chocolate! The black pepper sauce was elegant against the chocolate as well. 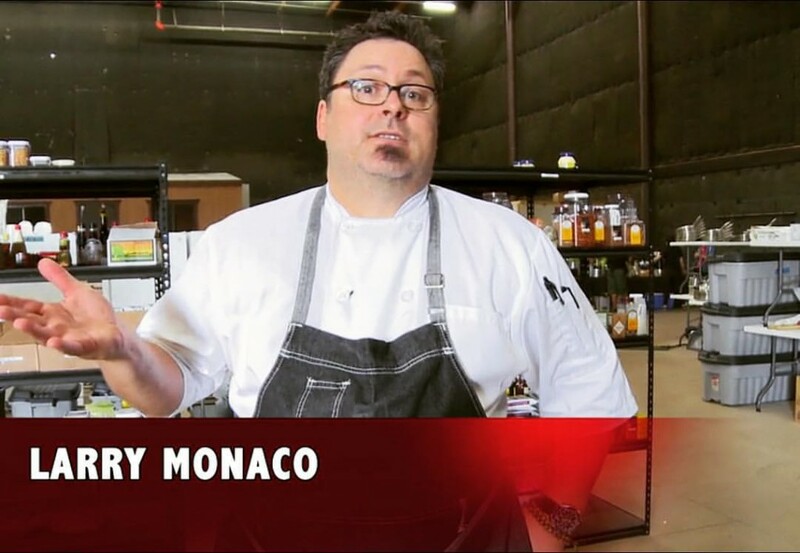 All I can say is I want more…so will be following Chef Larry Monaco wherever he goes next! TRAVERSE CITY, Mich. (PRWEB) – In celebration of Michigan Wine Month, vino lovers are invited to enjoy Traverse City Uncorked throughout the entire month of May. The festivities include complimentary wine tastings, discounted lodging packages, winery events and sipping souvenirs for participants. 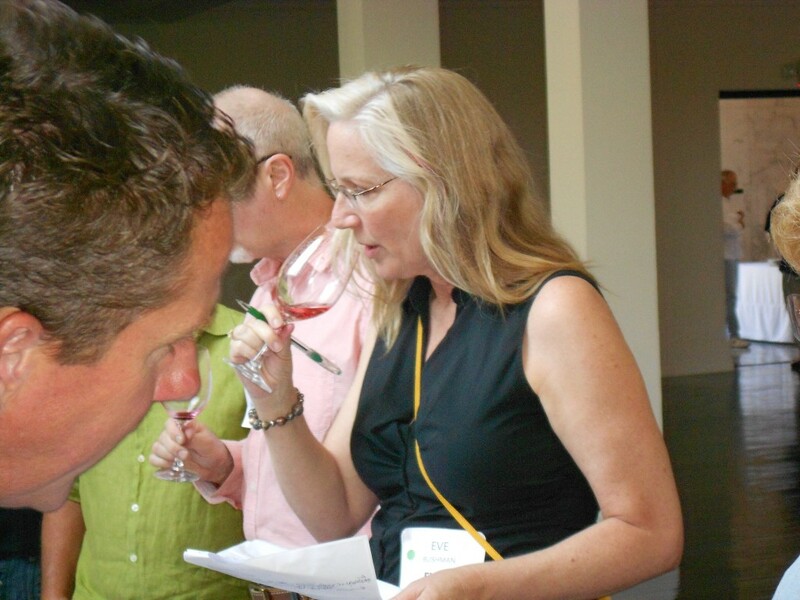 Traverse City Uncorked is a month-long promotion of the premier grape-growing region in Northwest Michigan. The region’s two peninsulas, Leelanau and Old Mission, are both designated as American Viticultural Areas (AVA) with diverse microclimates uniquely suited for a variety of wine grapes. Together, the 35 wineries throughout the peninsulas make up Traverse Wine Coast. Among their internationally acclaimed varietals are Riesling, Pinot Grigio, Chardonnay, Pinot Noir and Cabernet Franc. Participants of Traverse City Uncorked will also enjoy the regional marks of spring, namely the millions of cherry blossoms that make Traverse City the Cherry Capital of the World (you can celebrate the 2018 National Cherry Festival June 30 – July 7). Culinary enthusiasts and foragers will enjoy May’s wild morels and leeks, plus the downtown restaurants that daily harvest and transform their seasonal finds. Special events throughout Traverse City Uncorked include Spring Sip & Savor on Leelanau Peninsula (May 5-6) as well as Blossom Day on Old Mission Peninsula (May 19), both offering food and wine tastings at the wineries. 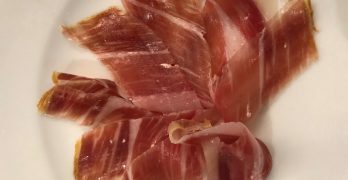 Small Plates, a progressive dinner with Leelanau winemakers, takes place along the Leelanau Peninsula Wine Trail (May 31), while Sips n’ Giggles offers a live comedy show pairing (May 19). For a complete list of Traverse City Uncorked events and lodging packages, pour a glass and visit traversecityuncorked.com. Clink! I’ll be heading out to Healdsburg for the first time since 2008 soon, and in planning the trip I looked for wineries that friends had recommended and/or I liked their wines already – but have never visited before. I don’t post when I’m actually away, so this article is a precursor to the fun I will be having…later…and then I will do a post-trip story. Photo: Seguin Moreau Napa Cooperage Facebook page. They also shared that their 2011 Pedregal Vineyard was given 92 points from Wine Spectator’s James Laube. 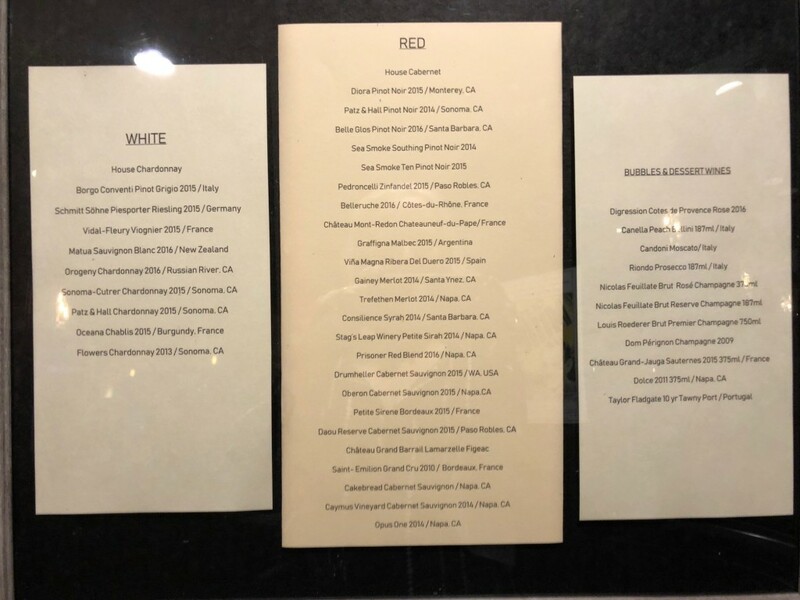 Not sure what we will be trying in the tasting room, but I see current wines include Chardonnay, Pinot Noir, Claret, Cabernet Sauvignon, Cabernet Franc and Syrah. Sounds good to me. Eight minutes down the road we will then be at Mazzocco Sonoma Vineyards and Winery where we will meet and lunch with winemaker Antoine Favero, and then enjoy a private barrel tasting. Their website shows four Wine Spectator award winners for their 2010 Zinfandels: 91 points for Maple, 91 points for Pony Reserve, 91 points for Sullivan and 90 points for Warm Springs. According to their Facebook page the 2013 Sauvignon Blanc was chosen for the United States Diplomacy Center’s groundbreaking event. Looking forward to trying whatever is offered here. I became a fan of Seghesio when one of their Zins made Wine Spectator’s wine of the year. Their 2011 Old Vine Zinfandel received 92 points…looking forward to sampling. The last winery to see on our first day will be Mauritson Family Winery, five minutes away from Seghesio. The winemaker Clay Mauritson, or his wife Carrie, will be hosting our tour and tasting. They show three small children, “future winemakers”, with Clay in several photos of the winery on their Facebook page, I’m hoping we will get a sighting of these cuties! The website of Mauritson label wines include Sauvignon Blanc, Chardonnay, Rose, Zinfandel and Cabernet Sauvignon. The Rockpile labels include lots of Zinfandels, Petite Sirah, Syrah, Malbec and Cabernet Franc. Can’t wait to review! Leaving Healdsburg, Day Two will begin at Rocca Family Vineyards in Napa Valley. 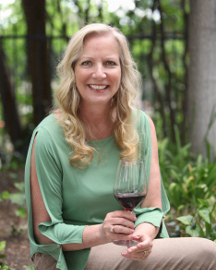 You read about Rocca recently on Eve’s Wine 101 as they had obtained the title of “Napa Valley Organic Winery of The Year.” We will be meeting with Sales Director John Taylor for our tasting. There seems to be plenty of Estate Cabernet Sauvignon, Merlot, Syrah and red blends for us to try! And according to their Facebook page they are currently crushing Merlot. From Rocca we will probably venture over to Dean and Deluca for lunch supplies and then make a dash for Darioush Winery on Silverado Trail. We have been scheduled for a “Tableside Portfolio Tasting” via concierge Jenna Kennedy. The Darioush Facebook page reported that they were “safe and sound” after the recent earthquake. Their damage was minimal but they were without power and were closed for one day. Their website promised current releases of Cabernet Sauvignon, Shiraz, Cabernet Franc, Merlot, Pinot Noir, Sauvignon Blanc, Chardonnay, Viognier. Shiraz blend and a late harvest Semillon Sauvignon Blanc. ZD Wines may be our last trip of this day unless we hit someone up near 4pm…if we have the energy. There are beautiful photos of grape clusters on their Facebook page, as well as a bottle of their 45th anniversary Chardonnay. Besides maybe trying that one, we look forward to sipping their Reserve Chardonnay, Pinot Noir, Cabernet Sauvignon…and more. Bright and early on Day Three we have a special treat, a tour of the Seguin Moreau Napa Cooperage. There will be no swirling and tasting, but there will be aromas! Hoping to see some toasting, bending and whatever else they have in store for us. 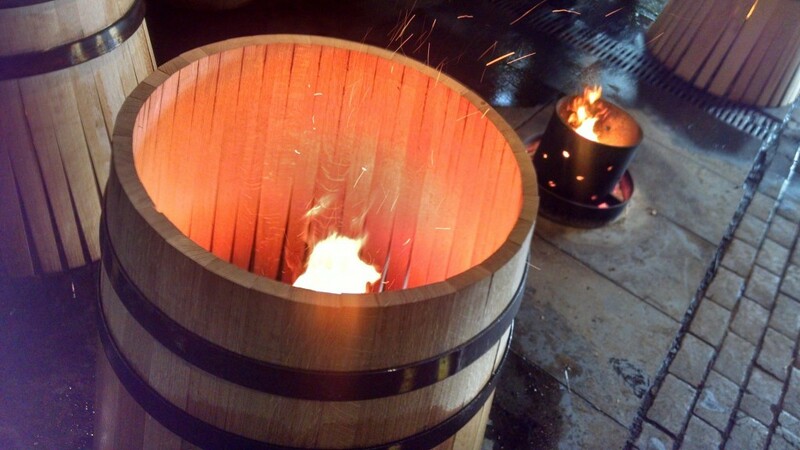 Earlier this month they showed a cool photo of a barrel being toasted on their Facebook page. What a lovely way to spend an afternoon: Driving through the hilly Las Virgenes Canyon until it becomes Malibu Canyon, passing by the grand green lawn of Pepperdine University to go to a beautiful new wine tasting bar across the street from the Pacific Ocean to mingle with a dozen other wine writers and social networkers. I’d made a slight error in judgment of the drive, and woefully arrived too late to hear owner Jim Palmer talk about his new venture* but what I lacked in timing I made up for by edging my way past my pals to the front of the bar to meet him and the other two wine makers/owners in attendance, Shawn Halahmy of Shai Cellars and Carol Hoyt of Hoyt Family Vineyards. 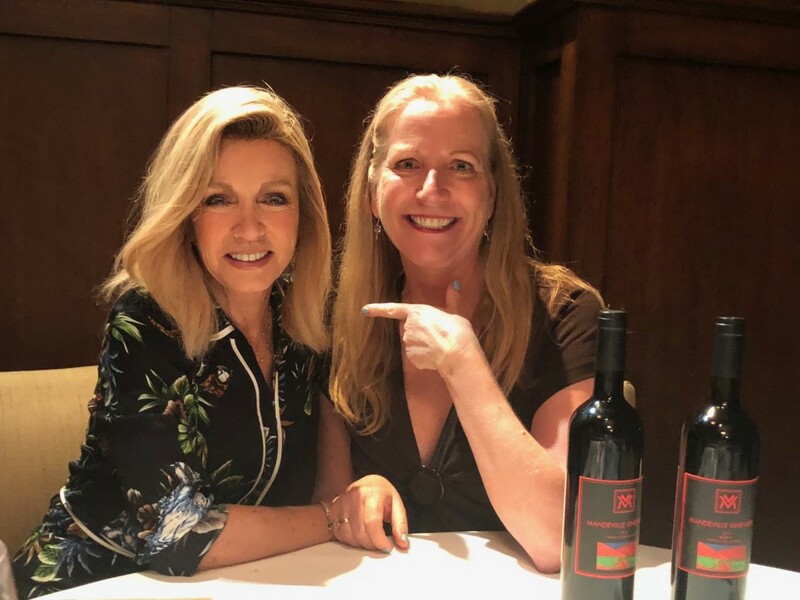 Shawn Halahmy, a businessman turned winemaker from the San Fernando Valley, with grapes grown in Santa Ynez, brought in two of his outstanding reds…that even though I had before I happily tasted again. Starting with a Pinot Grigio named “Ramato” that Jim had made in the Italian “orange wine” style by leaving the skins on for a bit to create a blush color to the wine, I found it very crispy, lean and interesting, His Rose of Sangiovese greeted me with a burst of strawberries followed by butter and melon. The ‘10 Syrah had a beautiful garnet color followed by wonderful perfumy aromas of raspberry and mushroom and a balanced taste of both fruit and tannin lending to a long finish. Starting with Shawn’s ’09 Adome red blend of Syrah and Cabernet Sauvignon I loved the aromas of black fruit, plum, black cherry and black pepper followed by nice deep fruit flavors nuanced by a smoky finish. The ‘09 Grenache had a great nose of red fruit, plums again and some mushroom; the taste was of smoothly developed fruit. Jim Palmer, owner of Malibu Vineyards, opened Malibu Beach Wines in September with a grand opening celebration on September 15th. He began the process 3 years ago and opened the first tasting room in the city of Malibu. Jim planted his Decker Canyon vineyard, in western Malibu, in 1997 and takes a great deal of pride in working his 4 acre vineyard himself. It was a dream of Jim’s to open a tasting room in Malibu to feature the wines of Malibu and other boutique producers who don’t have a place to sell their wines. 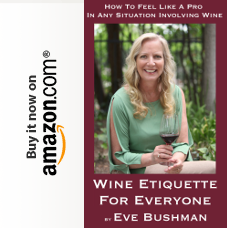 Most vineyards here do not have a place to pour their wine or sell to the public so we are giving them that opportunity. He has a passion for small boutique producers and for many of the wines of Malibu. 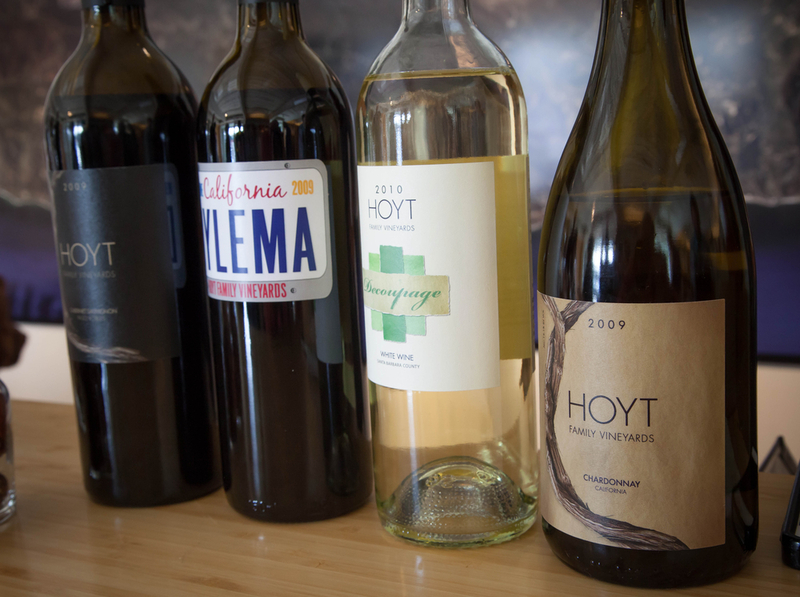 There are about 50 vineyards in the Santa Monica Mountains and about 20 to 30 are producing wine. Some of these vineyards are as small as a half acre. “There are a lot of small producers making 20 to 30 cases a year of great wine and they have few outlets to sell them.” says Palmer. His aim is to carry as many of the local wine producers as possible. He also is bringing in wines from smaller less known wineries throughout California, with a few from outside the state as well as France. Jim likes to bring in wines from producers he has a relationship with. Each of the winemakers has a unique story to tell that is reflected in the wines they produce. Our company culture is to give the Malibu community an opportunity to experience the fruits of labor done by their own beloved locals. Our goal is to turn this into a business mecca for all the Malibu locals in the wine industry.